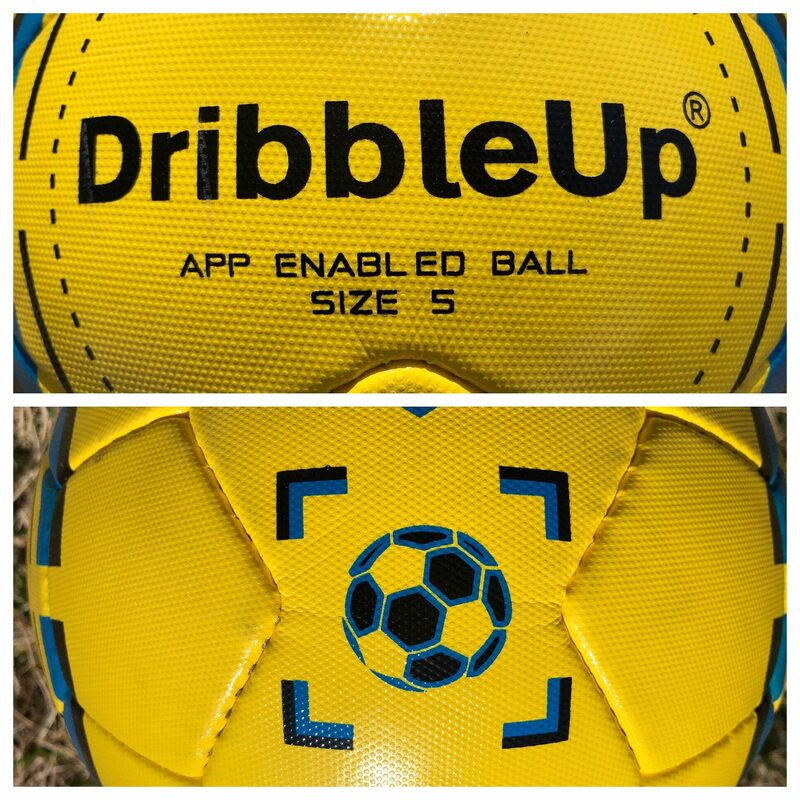 The DribbleUp Smart Soccer Ball is a fantastic training tool that youth soccer is just now discovering. The use of technology to motivate players to train harder is really paying off for those that spend time with DribbleUp. 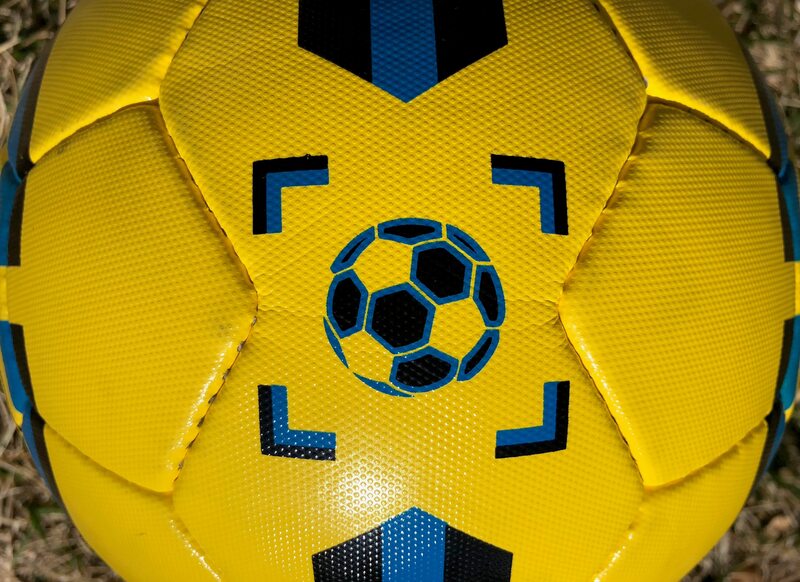 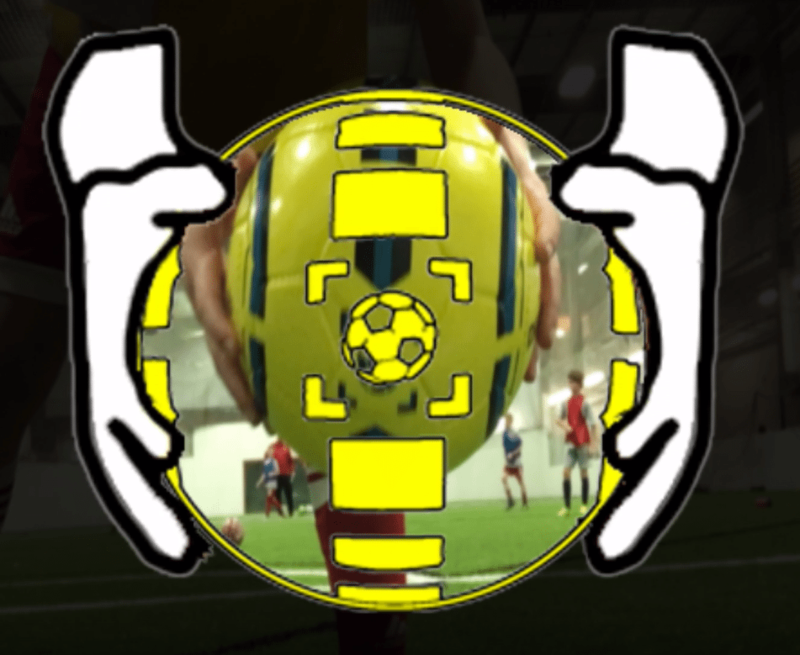 Parents – Our soccer families around the country have used the smart ball to help their players earn more playing time, make the top team, strengthen their weak foot, improve their foot skills, train during rainouts. 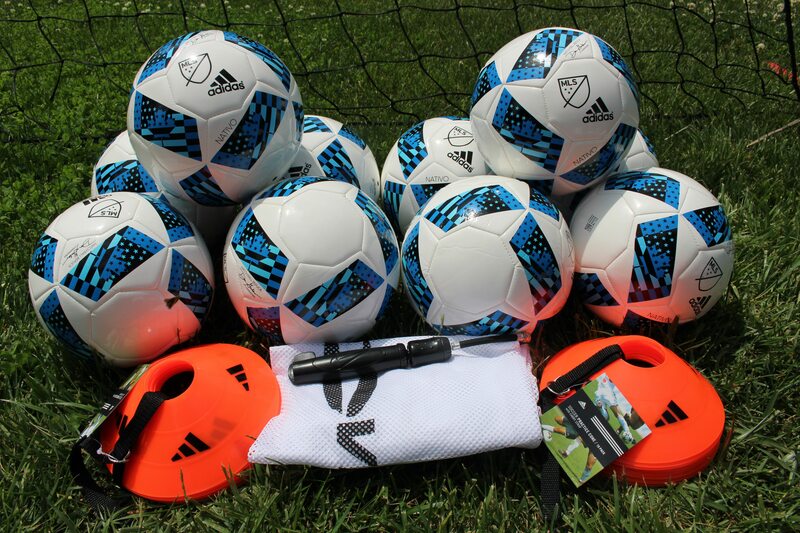 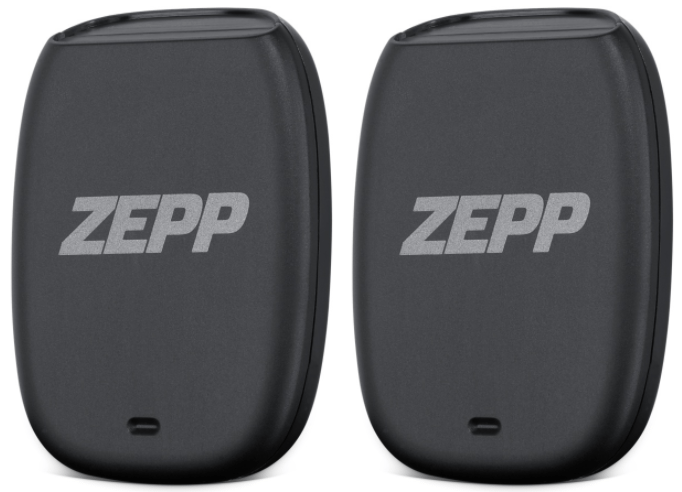 Makes a great birthday present for your player – same day fast and free shipping. 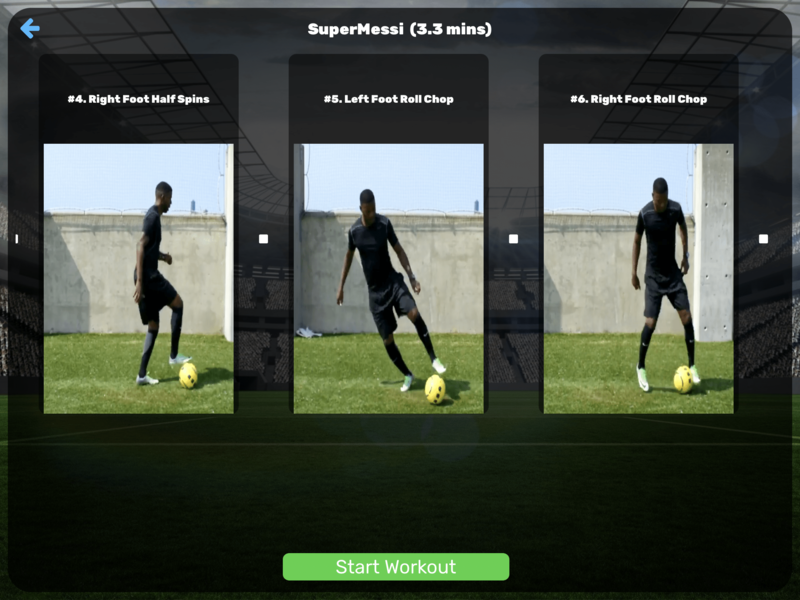 Players – Get Results. 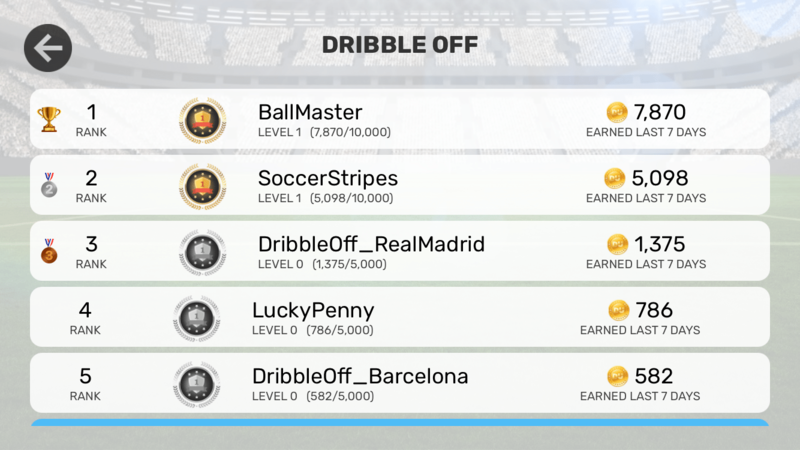 Check out how players are using their Dribble Up skills in their games. 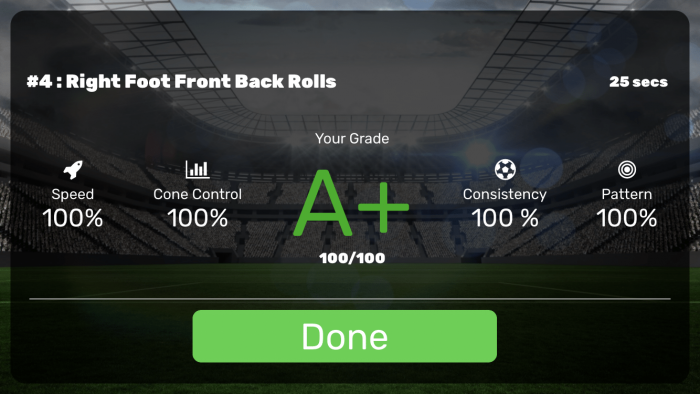 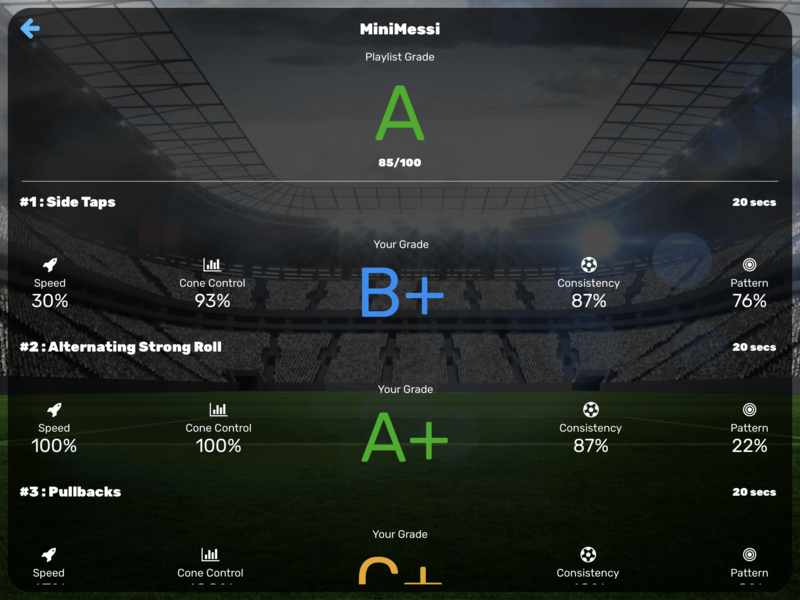 Coaches – Check out our Coaches Guide to learn how to assign homework and track your players progress. 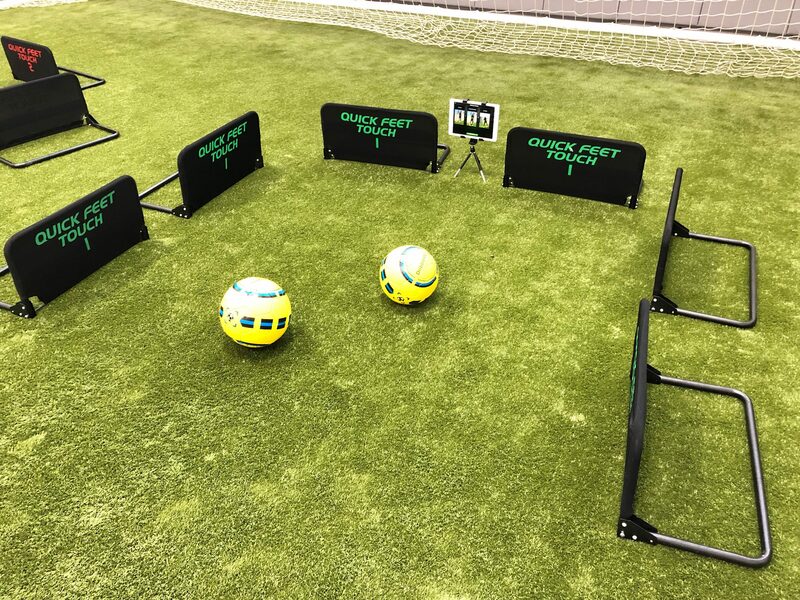 “Do we have to go to bed” is music to your ears when your kid needs to work on their weak foot or ball control in tight spaces. 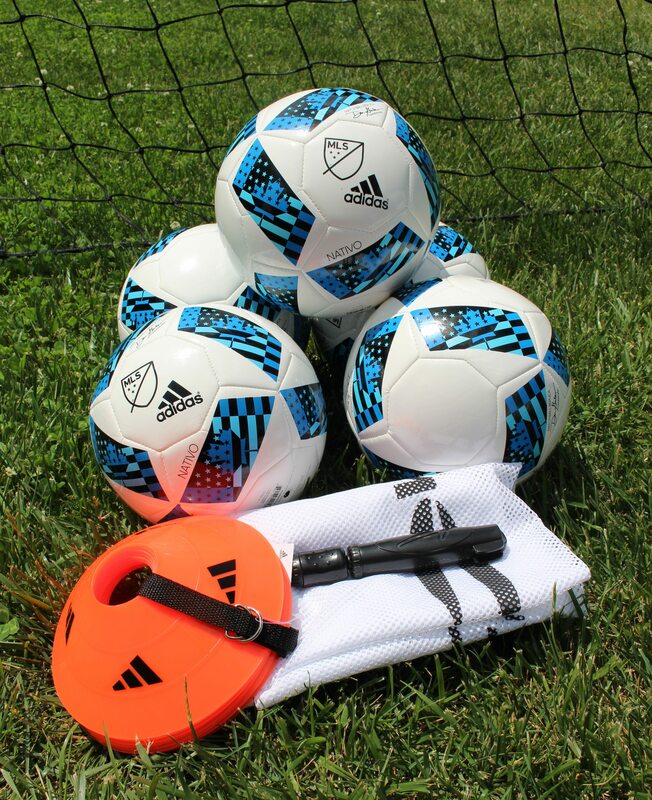 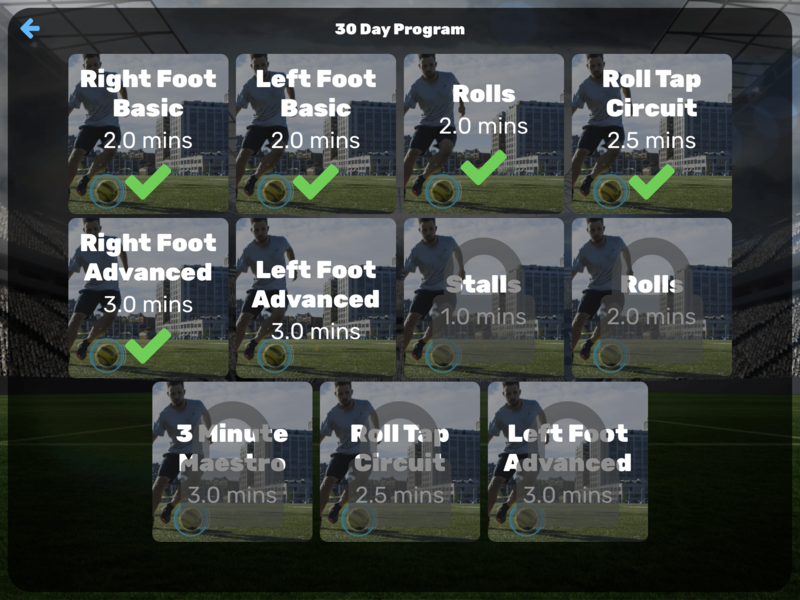 Countless nights our kids have gotten me in big trouble doing “just one more round” of soccer skills that lead to another round and another… Seriously how can you say no when they’re begging to keep training? 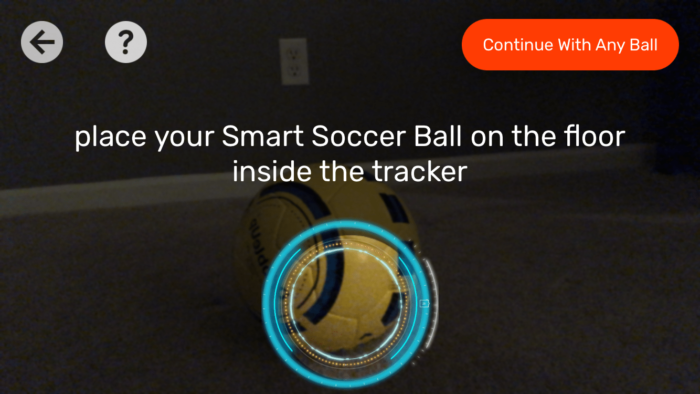 Whether soccer training is rained out or the kids are wanting to climb up the leaderboard the DribbleUp smart soccer ball has been a welcome addition to our soccer household. 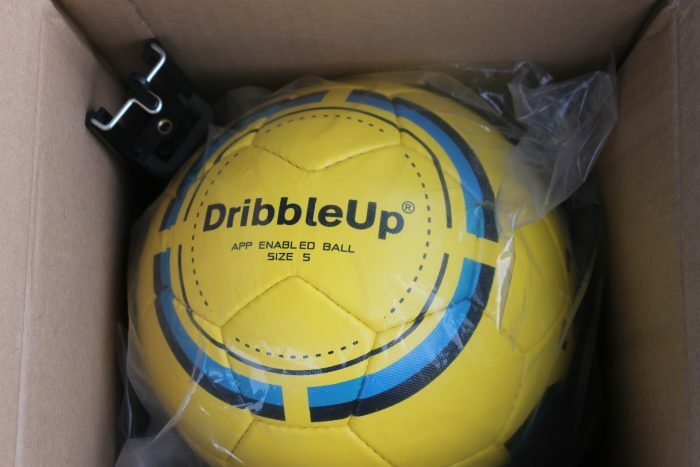 You can read more about the many reasons we’re super excited about the ball in our DribbleUp reviews. 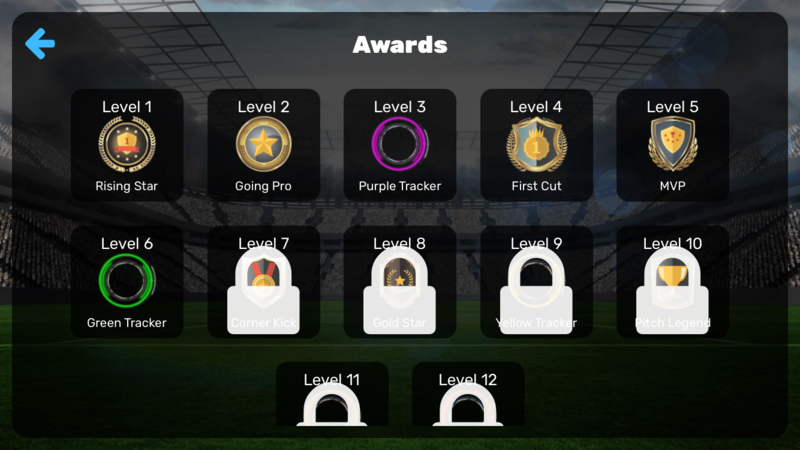 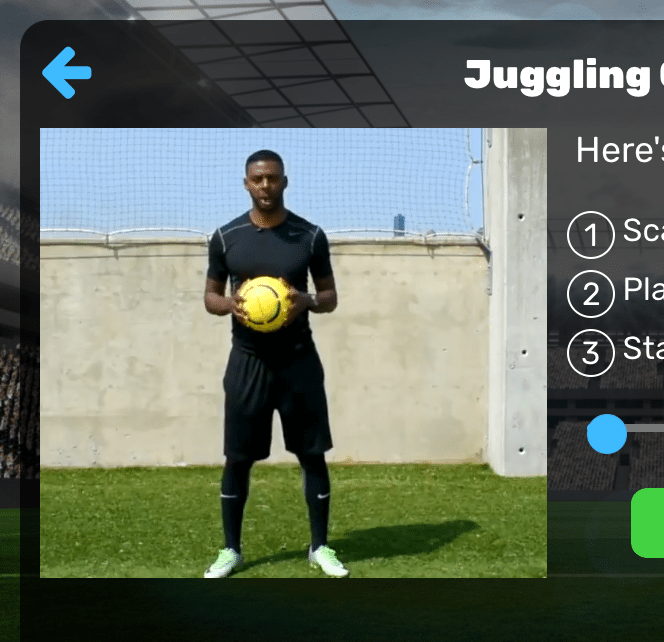 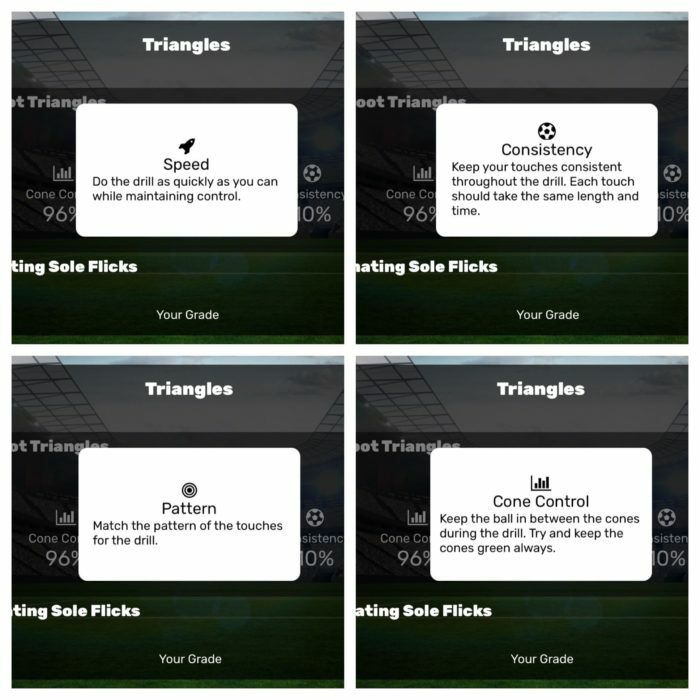 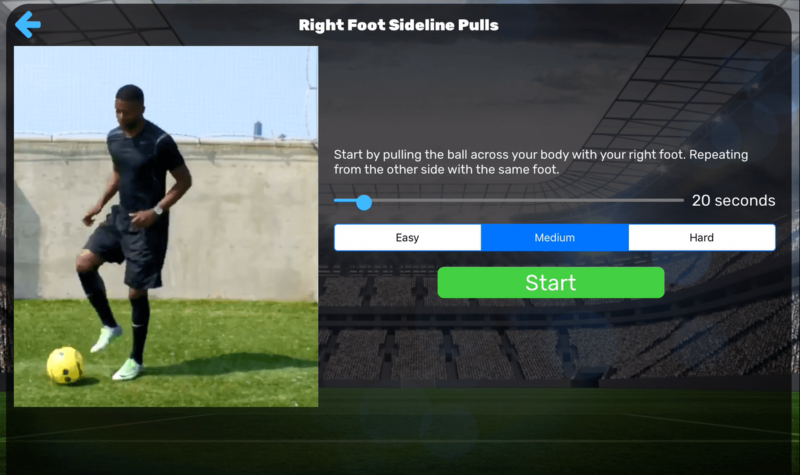 There is also a Dribble Up User’s Guide that answers your questions about how to download the app, setup your account, use the ball and how to train with it. 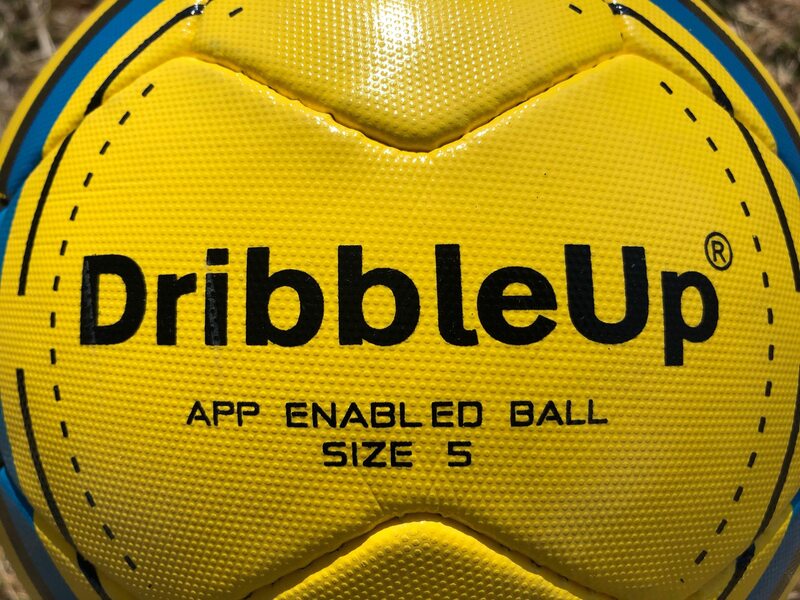 To say the shooting feature has been eagerly awaited by many Dribble Up users would be an understatement! 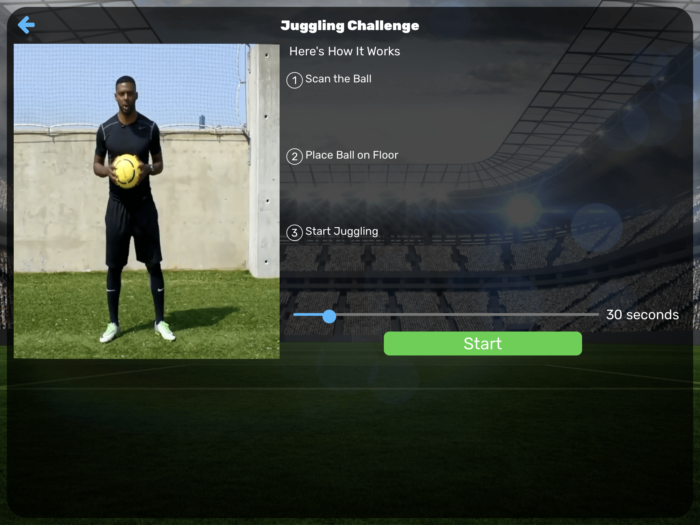 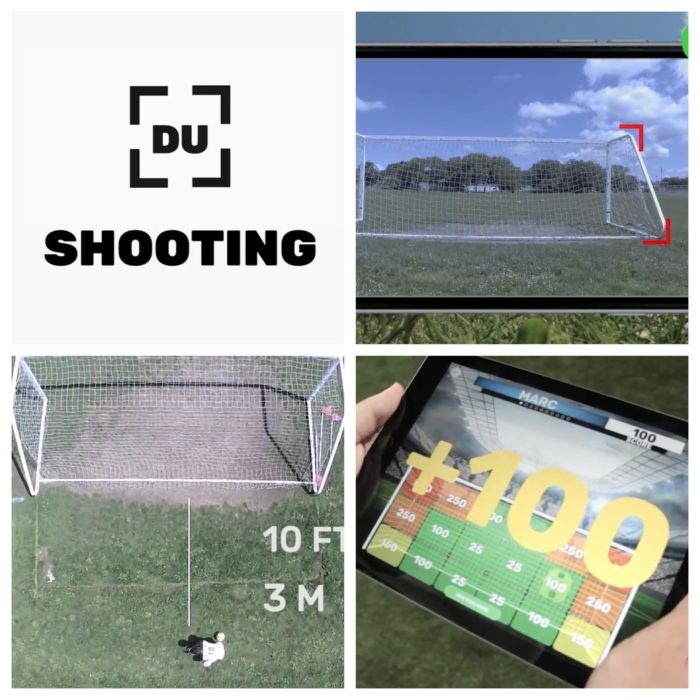 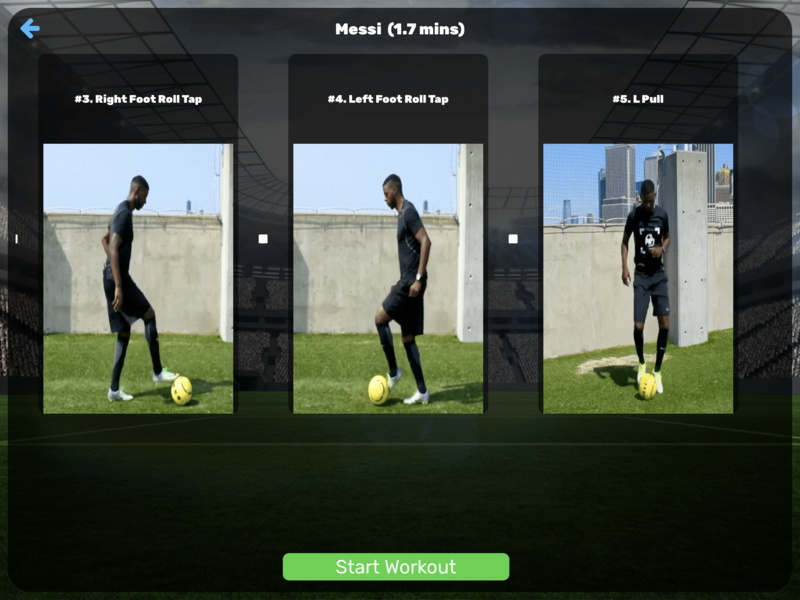 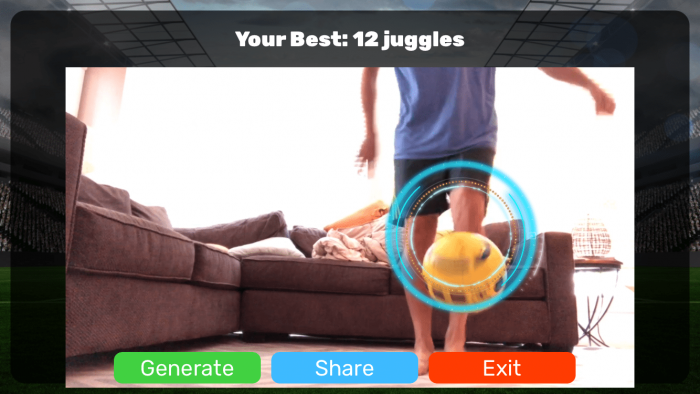 We’re happy to announce shooting is now available with the latest release of the smart ball app. 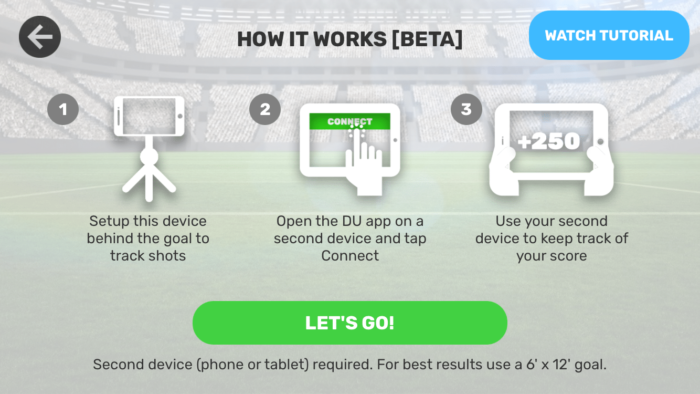 You’ll want the DribbleUp app installed on two devices – one you setup behind the goal to track your shots and the second device you keep with you to see how you did. 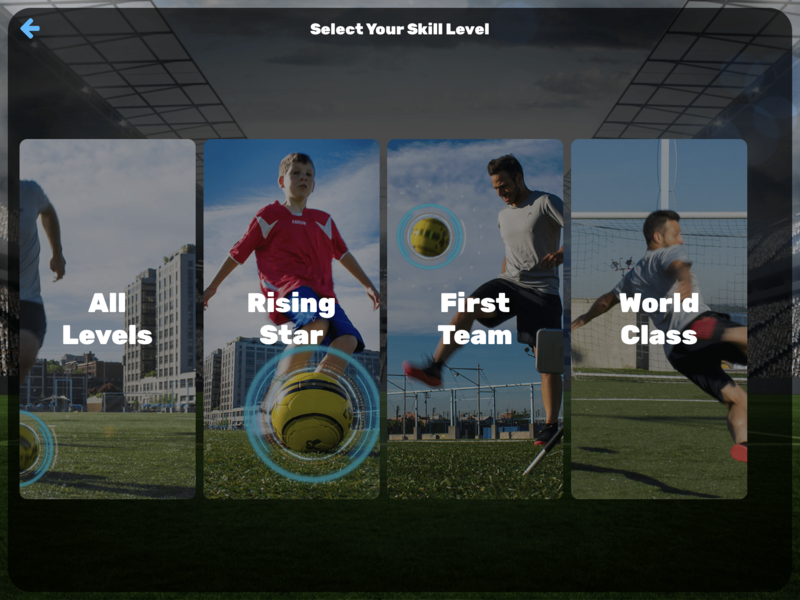 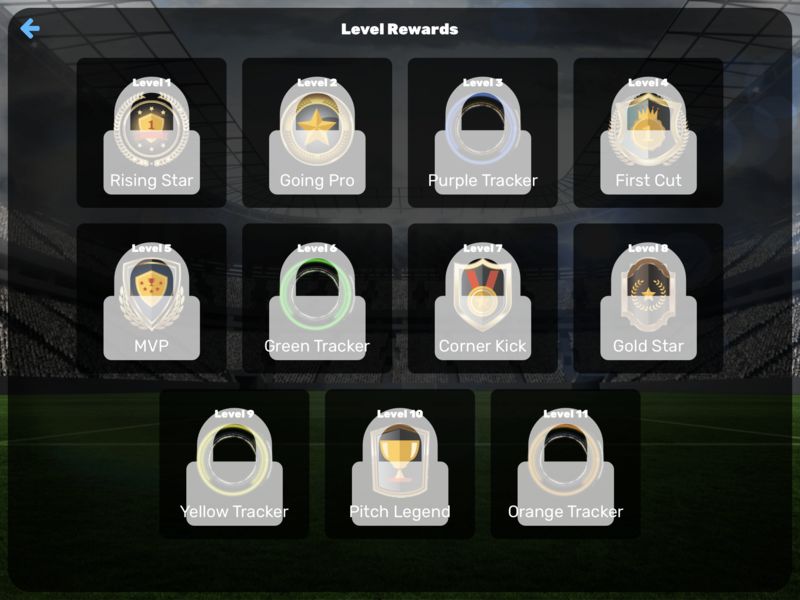 You can compete against your sister, brother, or team mates with the shooting app. 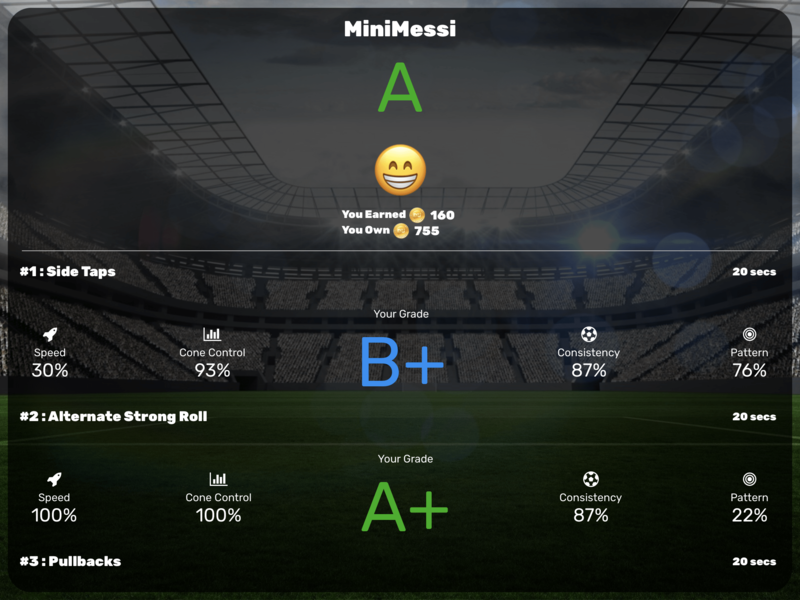 You can take turns shooting on the goal and the smart ball tracker scores you based on your placement of the ball. Best shooter wins! Here’s a video taken from the DribbleUp app that shows the juggling feature. 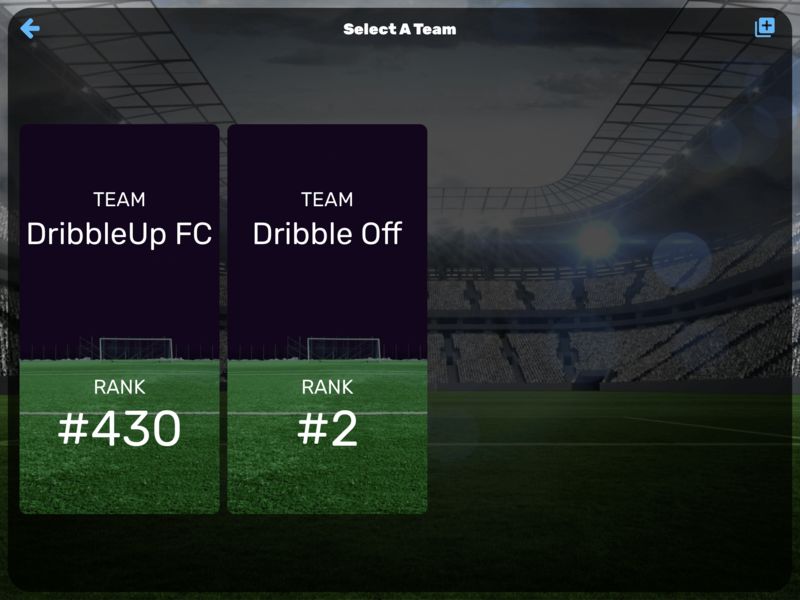 There is no monthly fee to use Dribble Up. The app is free and comes with a library of playlists you can use to train with. 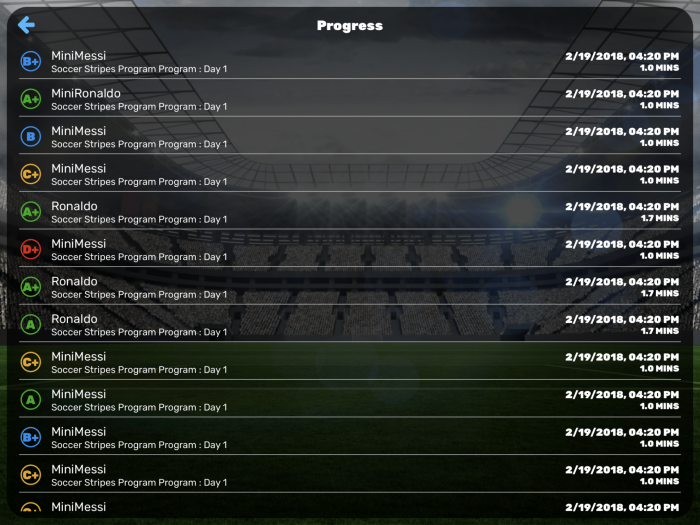 The Progress tile shown above keeps track of how you do and is a good way to see yourself improving when you train consistently over time. 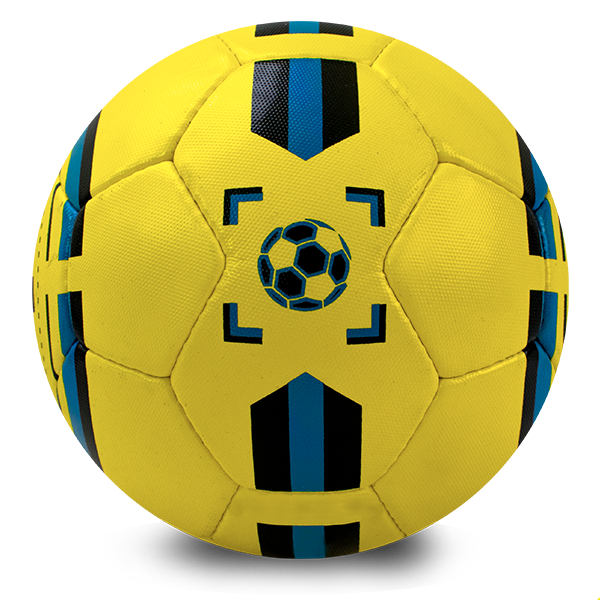 You can return the ball for up to 30 days if you have any issues with it or decide it’s not for you. 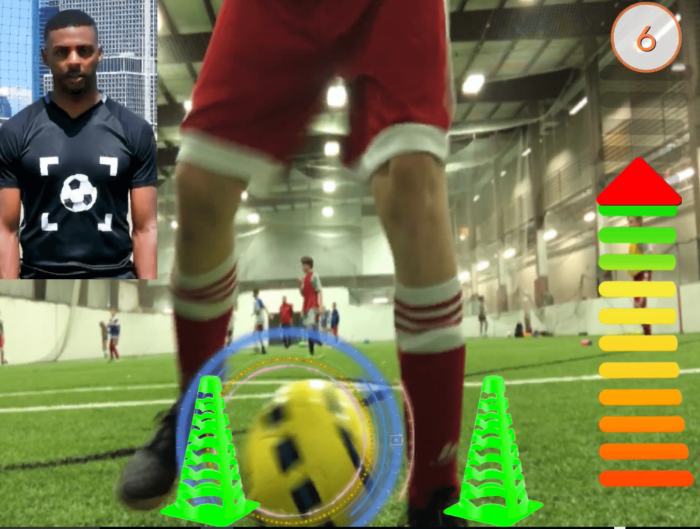 The Dribble Up ball can be used with teams, there is a coaches dashboard and we recently wrote about how you can use the smart ball at team training. 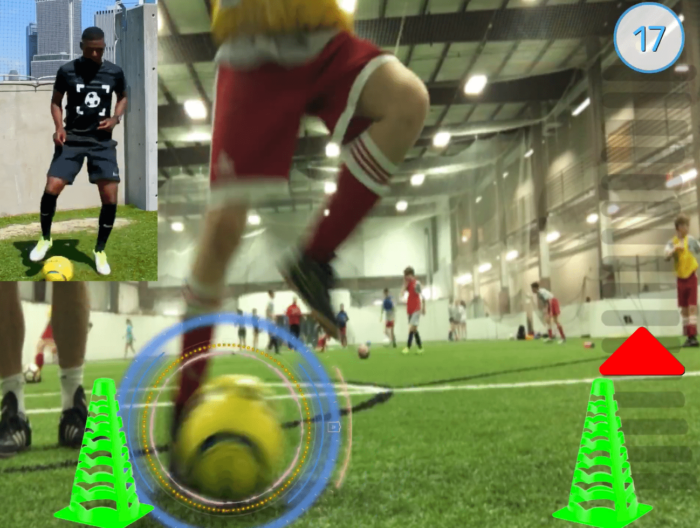 Here’s a video taken from our team training session showing a player going through a playlist.